According to the U.S. Food and Drug Administration, oranges are free of fats, cholesterol and sodium. They're also high in fiber and vitamin C.
Oranges have long been recognized as an excellent source of vitamin C, which is known to help boost the immune system and help prevent cancer. Studies have shown that the pectin in oranges can help reduce cholesterol. 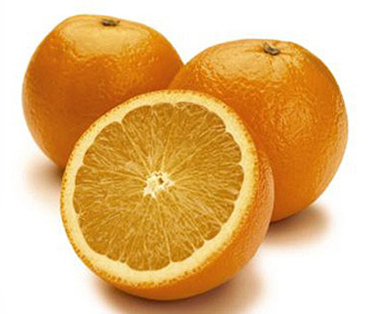 Oranges also contain flavonoids, which research shows may protect against heart disease. Choose oranges with firm, smooth skin and are heavy for their size.